A member of the Twistfix online forum recently highlighted the need for a bespoke wall tie to use with cavity drain waterproofing membranes.­ The forum member said, "I have to build a cavity wall with a membrane on the inside of the cavity. I cannot find a tie that will fit through the membrane to tie one leaf to another. All the ties I have looked at would mean puncturing the membrane, rendering it useless". 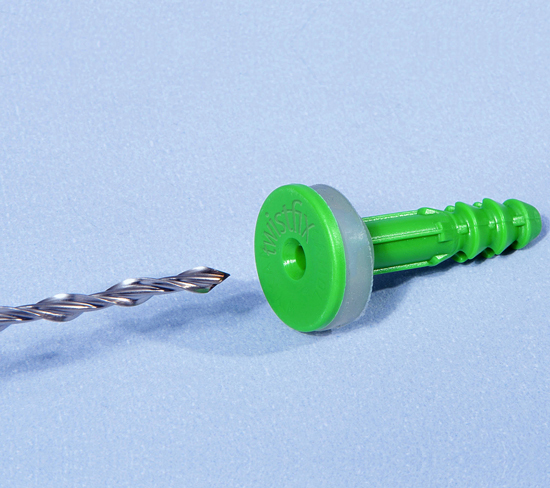 To meet this need, Twistfix have developed a fast, cost-effective and easy-to-use wall tie system combining a hammer-in waterproofing plug and a corrosion-resistant stainless steel tie. 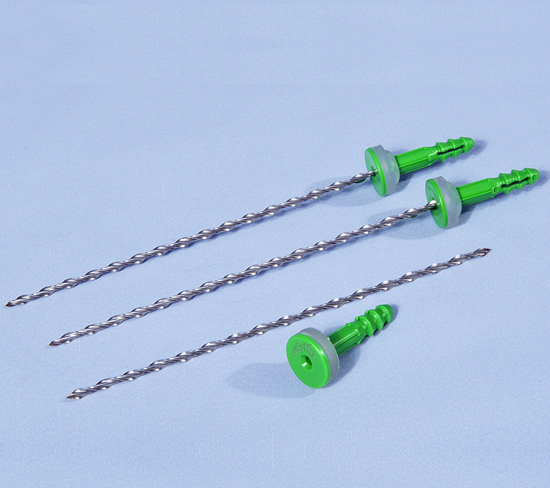 Providing an essential service to the basement waterproofing industry, the wall tie features a fastener arrangement composed from a 5mm stainless steel helical brick tie, with multiple drip points for water-shedding, along with a strong, durable polypropylene plug that has been pre-fitted with a soft seal. Each friction-fit plug is designed to be driven into pre-drilled, 10mm holes, directly through the cavity drain membrane and on into block, concrete or brick walls. This will securely fix the membrane to the wall, sealing the hole tightly to prevent any ingress of water. As the brick tie has a pointed end, it is led snugly into the central recessed aperture that is situated at the head of the sealing plug. By simply hammering the cavity tie into the recess, a screw- connection is provided within the plug. 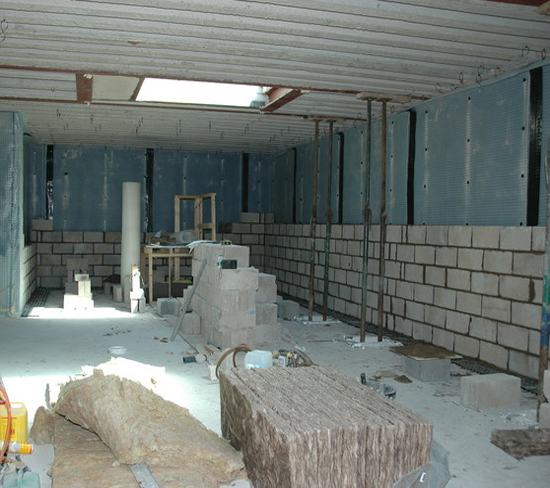 The tie's other end is laid into the wall during its construction. The ties are available in a choice of three sizes to fit cavity widths of between 85mm and 150mm and are supplied in packs of 50. This innovative wall tie system is just one of the many basement waterproofing systems and masonry repair solutions available from Twistfix. Please enjoy browsing the full range and do not hesitate to contact our skilled team for advice on choosing the right product for your particular project. You can contact us directly by calling 0845 123 6006 or send email to sales@twistfix.co.uk. Don't forget to subscribe to our regular newsletter for all the latest news, information and special offers from Twistfix.